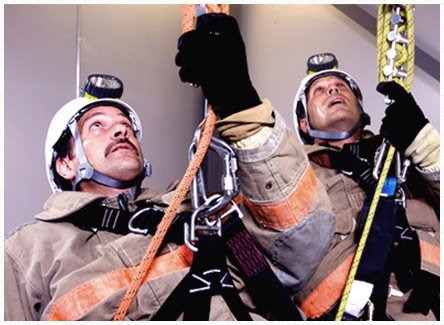 Innovative Cases for Heavy Urban Search & Rescue. The Protective Encapsulating Transport System (P.E.T.S.) is a heavy payload shipping and storage container system. P.E.T.S. 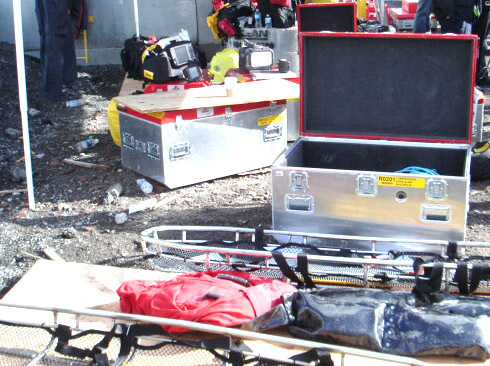 is currently used by Canada’s Heavy Urban Search & Rescue (HUSAR) and Emergency Medical Assistance (EMAT) teams. Target P.E.T.S. 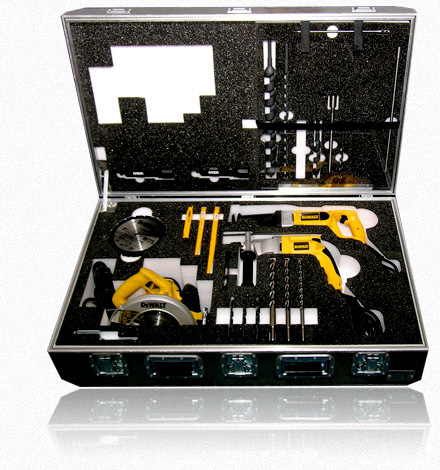 cases and containers are designed to offer optimal storage capacity with respect to external volume. 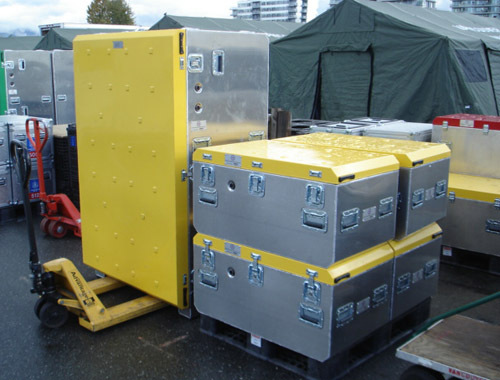 Consisting of 5 standard sizes, multiple case combinations yield a standard palletized cube, which conforms to land, sea and air deployment criteria. Custom and non-standard sizes available. Why choose a P.E.T.S. case from Target. Our P.E.T.S. cases and containers have a variety of features exclusive to the Target Case brand. With an all aluminum construction, P.E.T.S. cases and containers are unaffected by temperature and maintain their strength and integrity across the complete climatic temperature spectrum. The ends of P.E.T.S. cases and containers have large chamfered edges, eliminating the risk of fuselage puncture and providing a labelling surface (visible when cases are stacked). P.E.T.S. cases and containers have automatic pressure equalization (“breather”) valves installed to maintain case integrity when encountering temperature and pressure differentials. Internal ribs are located in the top and bottom faces of the base and lid to increase case rigidity and provide additional support for heavy payload applications.